AUKTools - 230V Fixed Base Router Mk II - New to Australia and the UK for 2017, an industrial-quality router produced exclusively for Professional Woodworkers Supplies and Wood Workers Workshop to run on a 230volt 10 amp domestic power supply. This fixed base router is fully compatible with American style router lift systems such as the INCRA Mast-R-Lift II and therefore allows for precise and easy adjustment of cutter height without any cutter length loss below the table. The motor shaft and auto-release collet raises above the table for easy cutter change with the supplied spanners. The soft start variable speed control is sealed for reliability in the hard working environment of router table or CNC machines, and is engineered to maintain constant speed under load. 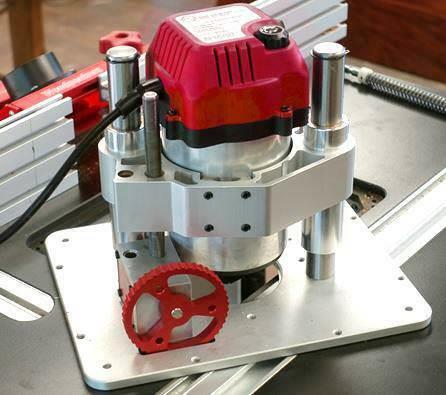 This router is designed specifically for use with router lifts and CNC machines that require a 106mm (4.2") - diameter router. 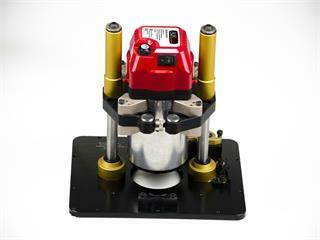 AUKTools fixed base router is not to be used freehand. 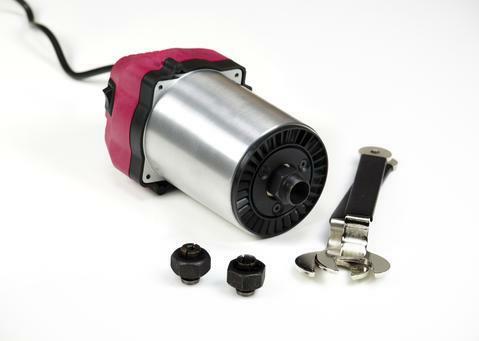 Motor outside diameter: 4.2inch (106.7mm ) to suit PRL V2 or Mast-R-Lift. 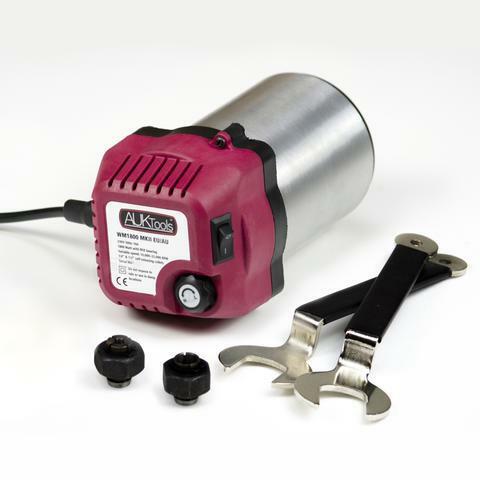 Motor power: 230V 50Hz 1800W (2.4 hp). 2 - 300mm cranked collet wrenches.